Presently helping keep the local paper alive. I'm employed by Hearst Newspapers, doing website redesigns and building standalone features like filterable restaurant maps, trivia quizzes, and more. I work on websites for the San Francisco Chronicle, Houston Chronicle and Albany Times Union, among others. Before that, I worked at Razorfish, building and maintaining, respectively, the websites for Hyundai Canada and Mercedes-Benz USA. Musa Machina is a poetic predictive text generator, its word bank fed exclusively by the springs of literary works. An app that takes a user-inputted topic, then scrapes its Wikipedia article to generate a Dadaist haiku. A classic memory game with a couple easter eggs thrown in. Portraying live sensor data from Swale, a food forest planted on a barge in NYC. Swale is a project from Biome Arts, and has been covered by Smithsonian Magazine, The Wall Street Journal, the BBC and more. 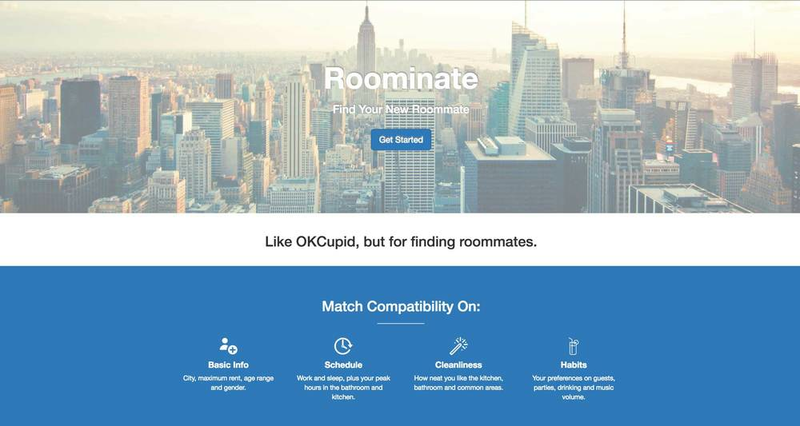 A site that matches users with potential roommates, calculating compatibility on factors like lifestyle, cleanliness and schedule.